The first-ever study Bible infused through and through with Biblical theology! 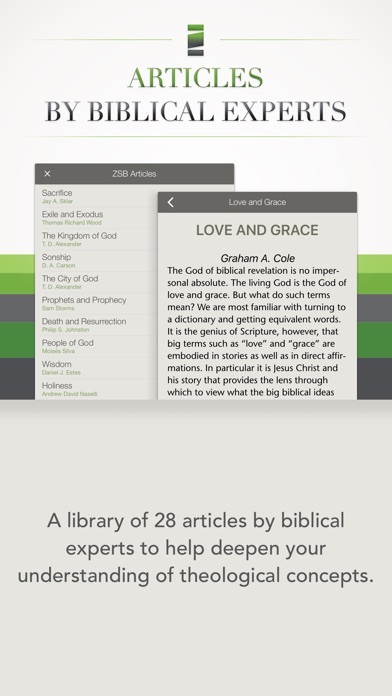 Built on the NIV and based on the latest in Biblical scholarship, the NIV Zondervan Study Bible app is full of robust new study features that work together to unpack God’s story in a fresh, powerful, life-changing way. General Editor, D.A. Carson, with a team of more than 60 contributors crafted all new study notes, book and section introductions, and other study tools that unpack God’s story book by book. Features: - This app comes complete with the full text of the New International Version (NIV) Bible. 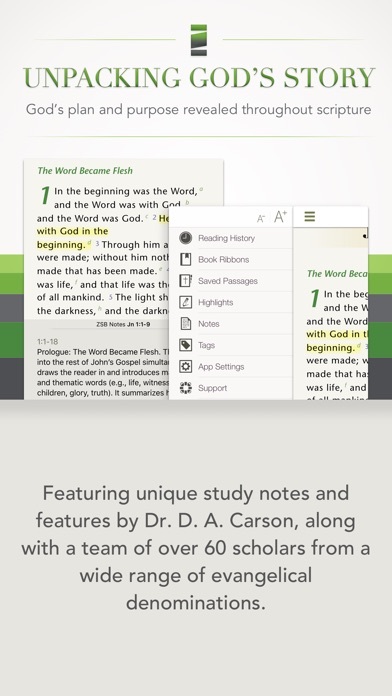 - Dig more deeply into God’s Word with all-new verse-by-verse study notes and features by DA Carson along with a team of scholars from a wide range of evangelical denominations. - Nearly 20,000 study notes and over 35,000 scripture references offer meaningful insight on every passage of scripture. 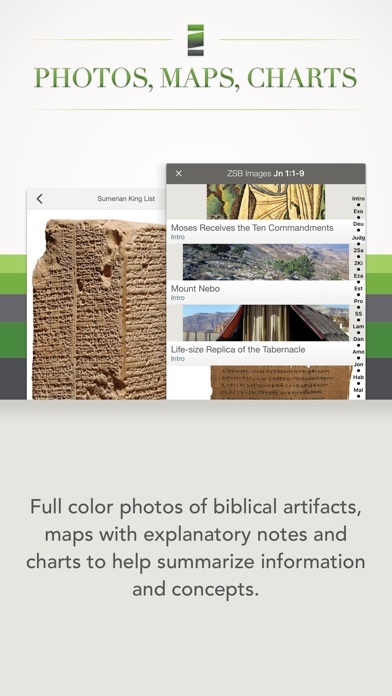 - Enrich your study with hundreds of full-color photos of Biblical artifacts, more than 90 maps with explanatory notes and over 70 charts that help you summarize information and concepts. - Explore a library of 28 relevant and theologically rich articles that deepen your understanding. Article contributors include D.A. Carson, Tim Keller, Kevin DeYoung and many other trusted evangelical scholars. - Find Scripture references quickly and easily with predictive search or by quick-touch book, chapter, verse. - Comprehensive book and section introductions provide valuable background information for each book. Searchable index of topics, charts, maps, images, study notes, and complete Old and New Testaments allows you to find words or study content quickly and easily. 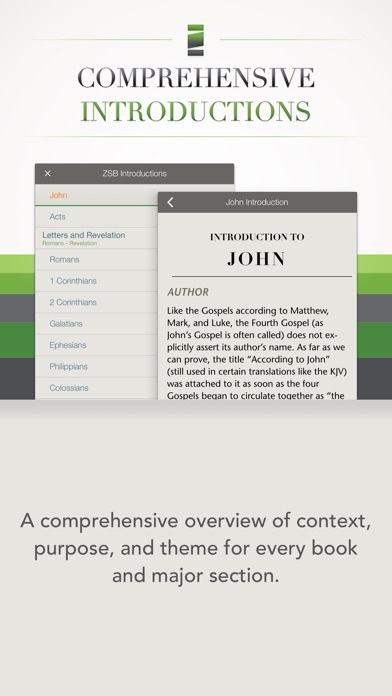 - Split screen allows easy access to view the Bible text and study notes together. - Ability to add personal notes allows you to capture thoughts for specific passages. - Highlighting & bookmarking allow you to easily emphasize or bookmark your favorite passages for future reference or make your own personal studies. 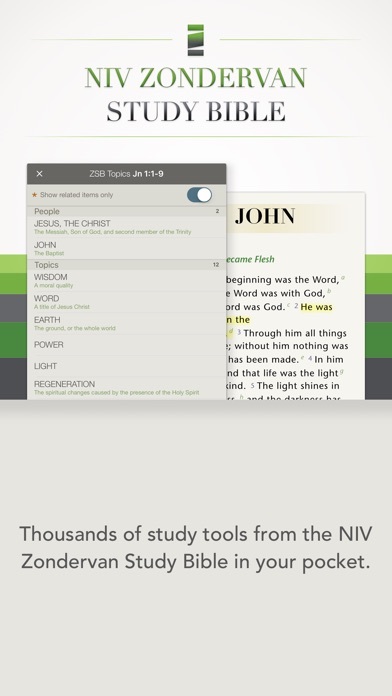 - Thousands of cross-references by tapping and holding on underlined words in the NIV text will help you see the connectedness of Scripture. - Share on Twitter and Facebook. - Optional red letter Words of Christ. - Adjustable font sizing comfortable reading. - Optimized for iPad and iPhone. Buy once and use on both devices.